Frank D. Rodriguez is a partner in the firm, specializing in complex litigation matters and intellectual property. For nearly two decades he has concentrated his practice in the representation and counseling of pharmaceutical industry clients, focusing on litigating patent cases arising under the Drug Price Competition and Patent Term Restoration Act (Hatch-Waxman cases). He is a leading expert in brand-generic settlement agreements and licensing agreements, and the negotiation, mediation, and drafting of those agreements and related agreements. 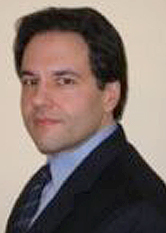 With a broad spectrum of legal, technical and industry knowledge, together with substantial experience in patent, regulatory, and litigation matters, he regularly counsels clients with respect to business and legal strategies involving intellectual property rights, as well as preparation of freedom-to-operate and other patent opinions, and conducting due diligence studies. A former development scientist for both branded and generic pharmaceutical companies prior to his legal career, Mr. Rodriguez frequently advises clients on product development and preparing patent strategies in order to successfully navigate potential competitors’ intellectual property. He has provided strategic legal counsel on numerous matters involving patents, abbreviated new drug applications (ANDAs), section 505(b)(2) applications, and FDA regulatory and marketing exclusivity issues. He also assists clients in connection with FDA patent certification and patent notification requirements, labeling and other issues relating to the FDA approval process. Some of his successes include obtaining a decision of noninfringement in a pharmaceutical patent case immediately upon the conclusion of trial, as well as obtaining dozens of favorable early-entry settlements for his clients. He holds a B.S. from Rutgers College of Engineering (1989) and a J.D. from the University of Dayton School of Law (1994) and is admitted to practice in New York, New Jersey, Washington, DC and the United States Patent and Trademark Office.